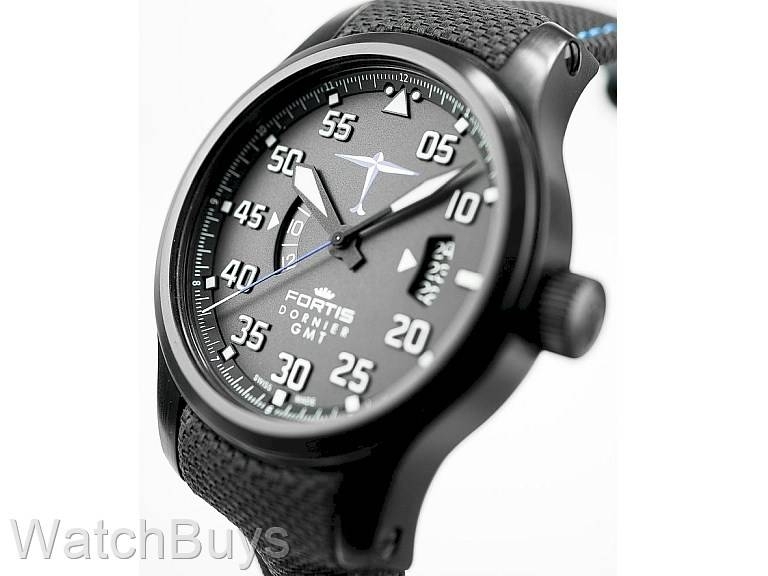 This is our favorite new watch from Fortis, and one that we have been waiting to receive for quite some time. 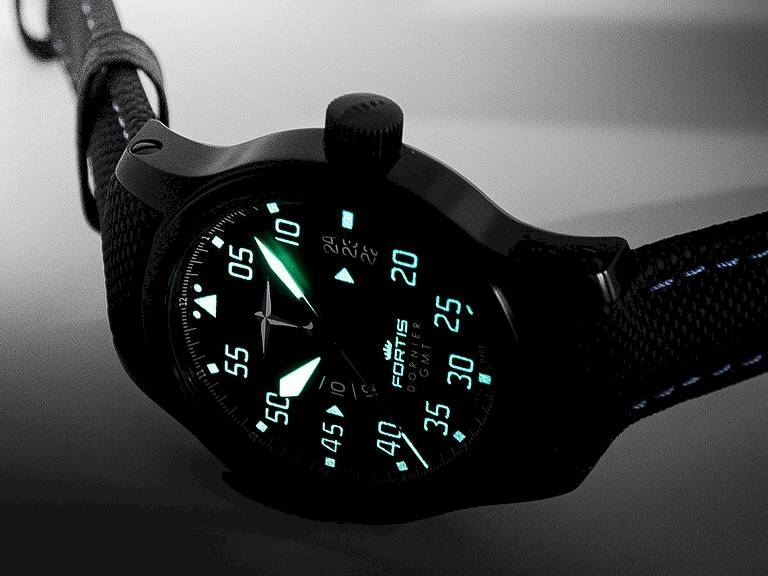 Many of you may remember the first limited edition watch that Fortis created in association with the legendary aviation Dornier family members. That watch was a limited edition chronograph of 100 pieces featuring two time zones, and the series quickly sold out. 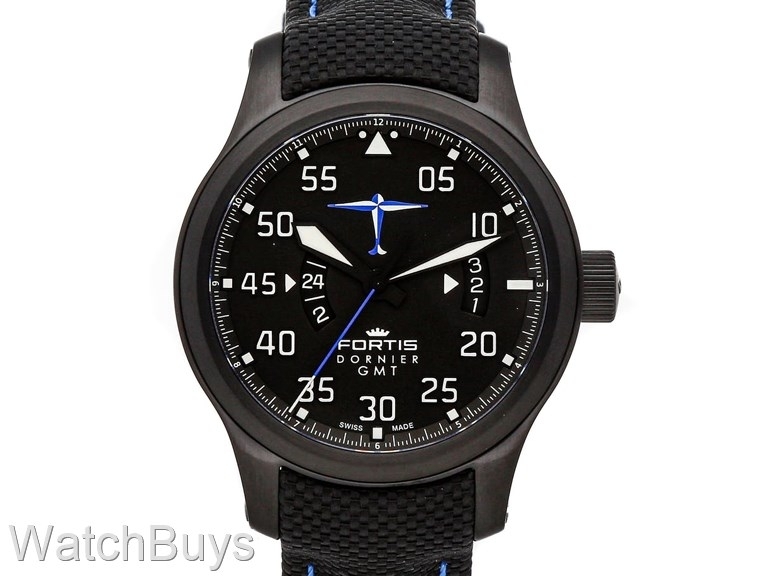 So everyone went back to work to produce a second watch in the series and now a new Fortis Dornier watch is born, this time a GMT dual time zone with a slimmer profile. And this watch is even more exclusive - only 70 pieces will be produced. Mention the name Dornier to anyone who knows anything about aviation, and you'll see a look of instant admiration and respect. Originally established in Germany in 1914 as Dornier Flugzeugwerke, the company was responsible for many of the most classic airplanes used for both civil and military purposes. The list of Dornier aircraft is long and includes a turboprop-powered amphibious aircraft - the Dornier Seastar. Over the years, the company has had a number of spinoffs and acquisitions, one of which was responsible for the production of the Faint Object Camera used in the Hubble Space Telescope. And now a new project to add to the company's list of accomplishments - the new Fortis Aviatis Dornier GMT limited edition pilot's watch. If this watch immediately reminds you of instrumentation in a cockpit, that is by design. This watch has been in development for a number of years and what we like most is the degree to which members of the Dornier family were involved in its design. 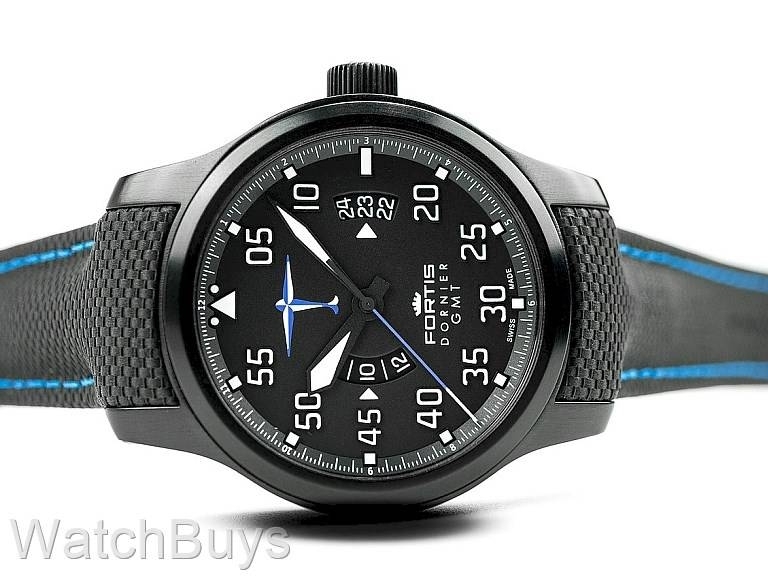 This is not simply a watch with a Dornier logo slapped on the dial; it is instead a watch that the Dornier family members and company worked closely with Fortis to design to the same level of detail as their famed aircraft. Another key point is that Dornier insisted that this watch represent their expertise in the fields of aviation, space and technology. To reach those goals meant the production of many prototypes and drafts until both the design and specifications met with the approval of Dornier, resulting in quite a few late nights. Dornier and Fortis worked hard to create a watch that represents the heritage of both brands both visually and functionally. 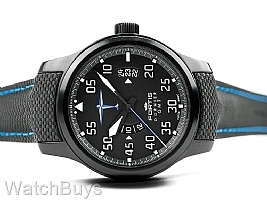 This new watch features an alternating color scheme with nods to both the unique blue hue of Dornier and the classic colors of Fortis. The Dornier GMT features a clean display with applied indices and numerals giving the dial a three-dimensional effect. This watch is housed in a 42 mm case with black PVD/DLC and a transparent case back to view the movement. This watch features a date indicator at 3, and a second time zone (24 hour basis) at nine. The winding on this movement is buttery smooth, and both the date and second time zone are operated through the first position in the crown. Turning the crown clockwise in this position advances the second time zone indicator, while turning it counter clockwise quick sets the date. Because this watch uses a 24 hour scale for the second time zone, precise AM/PM readings of the second time zone may be tracked. The classic Dornier logo is applied at 12. This watch is fitted with a black leather and fabric Fortis performance strap featuring Dornier themed blue stitching. This strap is integrated leaving no gaps between the case and the strap. 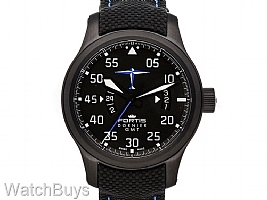 Remember, Fortis is only producing 70 pieces of this watch for worldwide distribution so if you want to own a special watch with strong ties to one of history's most important aviation and space companies this is your final call.